Think you need a patent? Think again. Many of the products Stephen Key has licensed required no intellectual property protection whatsoever, yet have made millions in royalties. But Key also knows what it takes to protect a big idea. Years ago, after reading about how medication bottles rarely contain enough space for the information that needs to be printed on them, he was inspired to develop an innovative label technology. The Spinformation rotating label has been licensed on products the world over, is protected by 20 U.S. and international patents, and has received more than 13 industry awards. To put it simply: Key knows how to use intellectual property to profit. It also details Stephen’s experience defending his patents in Federal Court—a David versus Goliath saga he has never before written about at length—as well as provides tips about how to avoid a licensing contract from going bad. "I just wanted to say how useful I’ve found your books. I’m a (UK and European) Patent Attorney, but am spending several days a week working on my own ideas, with a view to licensing them; it’s very different (but exciting) being on this of innovation. The tips and ideas I’ve picked up from the books have been extremely useful!" — Iain R.
— John S. Ferrell, Esq., Co-Founder, Carr & Ferrell LLP, Rated by San Francisco Magazine as one of Northern California’s top lawyers. "Stephen Key's new book “Sell your Ideas with or without a Patent” is a must have for anyone who wants to become a successful New Product Developer. 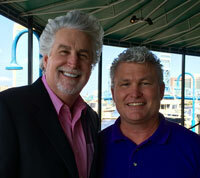 Stephen reveals what he has learned in his 30+ years in the product licensing business. His willingness to share the Good, the Bad, and the Ugly of the entire licensing process makes this book a must have for inventors who want to actually make money from their ideas. Since the world of inventing and product development is moving so rapidly in recent times, Stephens information is pure gold. Stephen shares his inspiring story and information in an easy to read style that is very helpful in todays world of new product development. It’s Good Stuff!" I wanted to thank you both for your amazing books and videos. I learned so much from them and was able to license a game last year that will go on sale in mid 2015. Thanks again for the amazing materials you guys produce. My copy arrived yesterday and I am DEVOURING IT AVIDLY! Many thanks and congratulations. Great work, thank you. – Gabrielle D. SOUTH AUSTRALIA. 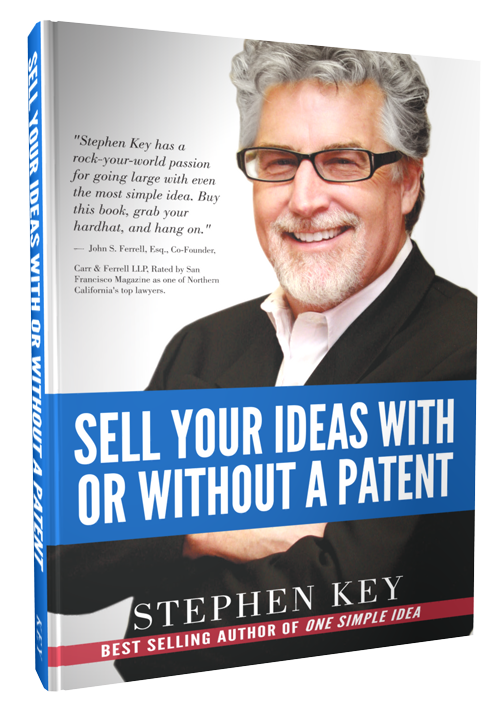 For anyone taking their idea to market Stephen Key's latest book "Sell you Ideas With or Without a Patent" is a must read. The book provided me the right level of detail to move step by step through the process of licensing and getting my idea protected and to market. With links to numerous resources, this book is an up to date reference that every inventor should have... very well written with engaging stories and examples. I highly recommend this book and thank Stephen for a real treasure trove of valuable lessons learned. Stephen is THE licensing guru. I've been a product developer for 22 years and have even appeared as a guest on The Oprah Winfrey Show, back in 2007. I know enough to know that Stephen's common sense approach is the fastest and smartest way to bring a new product to market. 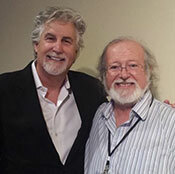 He has become my go-to guru for everything having to do with licensing. A must read for anyone interested in bringing their ideas to market the fastest and most profitable way possible. Watch a special free webinar to learn more about this book - Click Here.